Office Staff Lockers provides office employees with modern secure personal office storage space in the workplace. They come in various design styles, offering various size locker compartments and offer a range of optional security features like key locks, combination locks or RFID card access providing safe secure personal storage of belongings. When specifying office lockers for your office you can also choose from a range of additional features like post slots, name card holders, locker numbering or in locker charging. As businesses make the change to smarter ways of working, so does the need for office lockers increase to provide secure personal storage space for their belongings. With technology advancing and changing, this brings new workplace technology like note pads and mobile communications which also allow employees to work remotely through hot desking. This flexible way of working around the office makes having a secure personal office locker a requirement, giving the office worker a storage base instead of a workstation or pedestal. 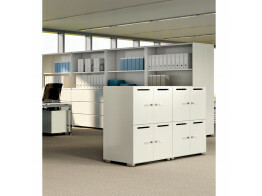 Choosing the type of personal office storage can be an obstacle when looking at the range of options available. 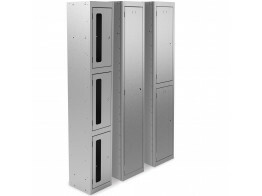 You can choose to have steel locker modules making them easy to relocate if required. For a more permanent fixture made to measure to fit a certain space you can opt to have a storage wall locker solution constructed from either mfc or real wood. We at après can help and advise you of your options once we have heard your storage requirements. Electrical Lockers offer in locker charging points for staff to charge their personal devices. 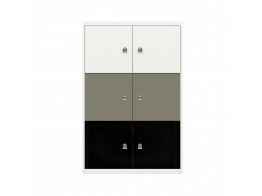 LateralFile Lodge Lockers provide personal secure storage with power integrated. 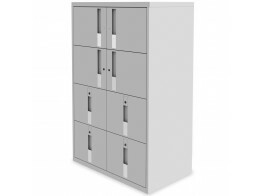 UniteSE Lockers provide various sized steel personal office Locker modules. 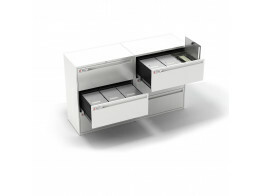 SmartLocker is an innovative storage solution ideal for hot desking environments. 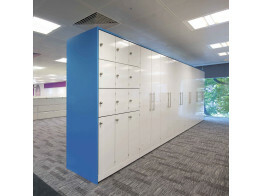 Primo Lockers provide secure personal storage space in the office. 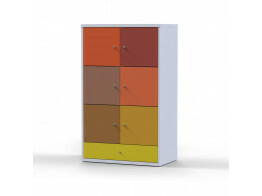 Personal Lokenstor storage wall modular office locker storage solutions for the modern office. 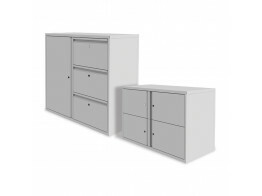 Kontrax Lockers in various sizes for leisure and commercial environments. 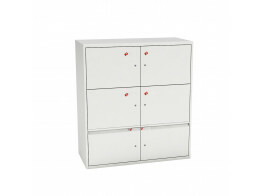 Freedom H:D Pillar Box Storage Lockers have individual lockable compartments. Freedom Hot Desk Locker features the highest of security attributes as each unit is individually lockable.